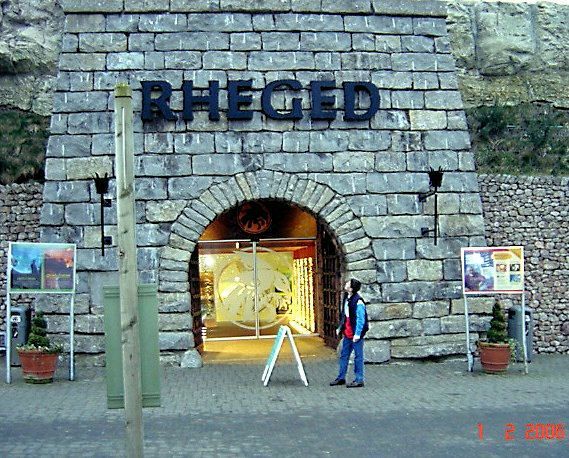 A few photo's of Rheged, the mystical, magical place that inspired our 'prefix'. 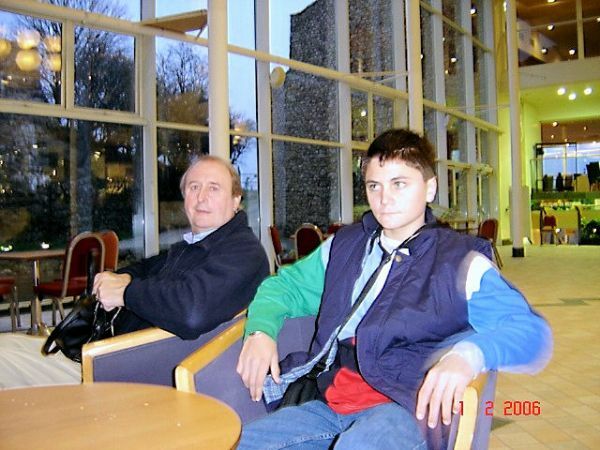 Simon & Nikki visited this wonderful & ancient Kingdom on their last trip back home to England. One of my favourite places in the whole world! 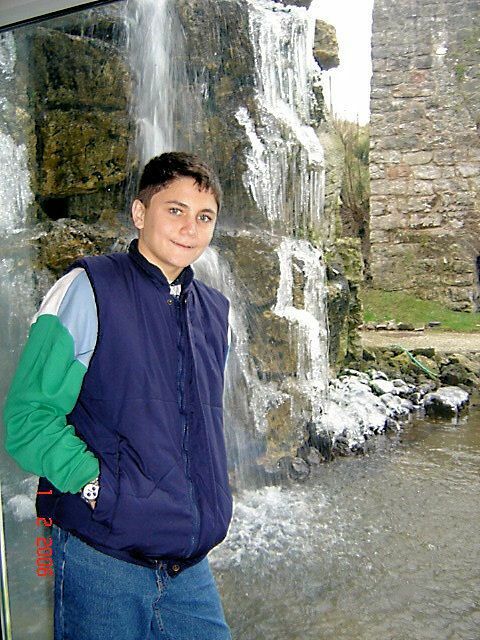 Simon outside the 'Rheged Centre', Penrith, Cumbria. Europe's largest grass covered building. 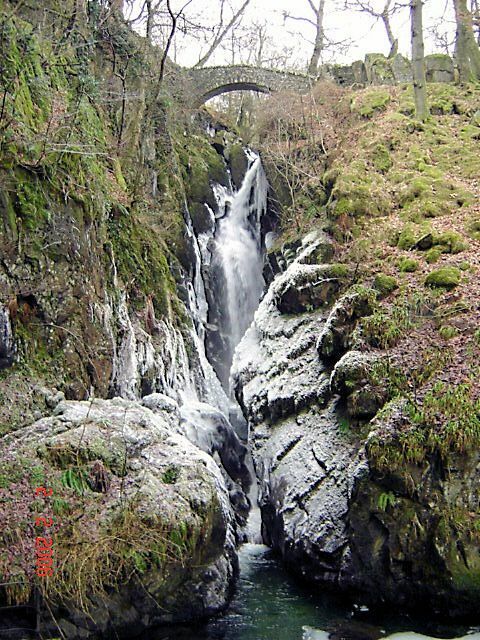 'Aira Force' (meaning 'Falls' from the Old Norse 'Fors'), Aira Beck plunges dramatically around 65 feet through an overhead bridge and over the rocks. The 'Beck' has its source high on the slopes of 'Stybarrow Dodd'. 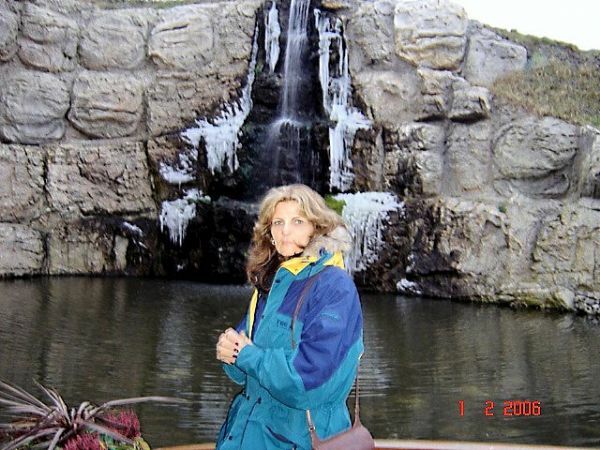 Here frozen in places ~ yes ~ it was freezing cold! 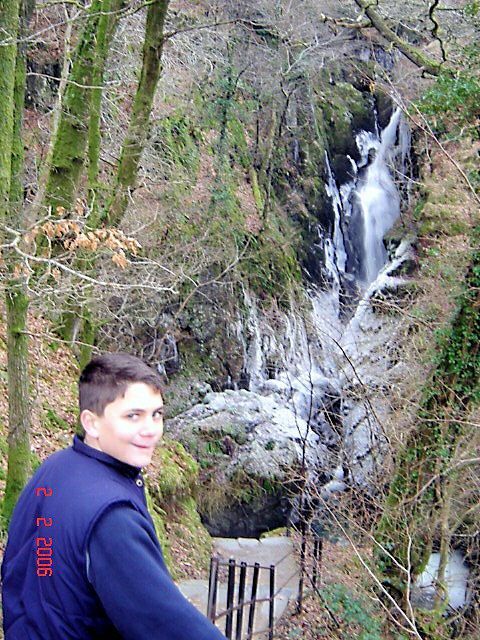 Aira Force (Waterfall) again. 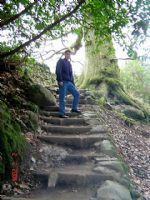 One of our favorite places in Cumbria (the 'old Kingdom')& William Wordsworth mentions this place at least 3 times in his poems (inc 'The Somnambulist'). 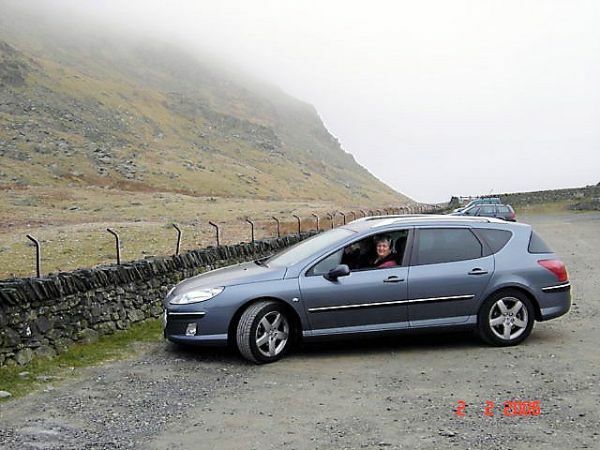 Mum & Stuart, freezing in the car at the top of remote, beautiful & the unforgiving 'Kirkstone Pass'~ lost in the mists of time & legend! 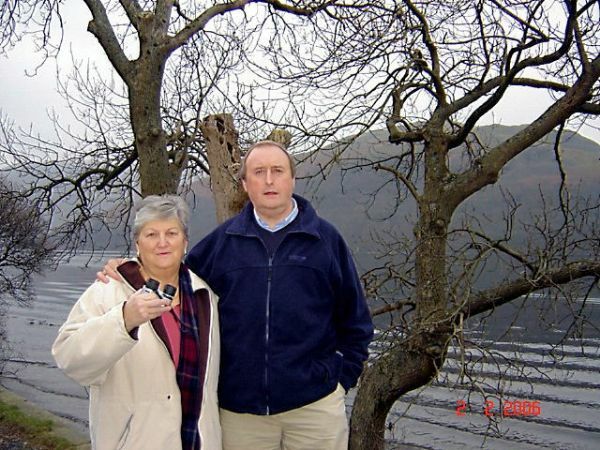 Mum & Stuart ~ next to the mysterious 'Ullswater' Lake. The Lake acquired its name from an early visitor- 'Ulf the Viking'. Ullswater provided the inspiration for Wordsworth's most famous poem 'The Daffodils', written after he and his sister Dorothy went on an expedition to Gowbarrow. 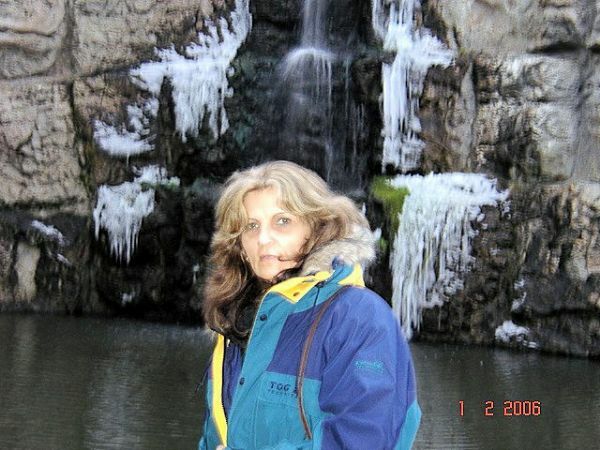 Nikki loving 'Airaforce' ~ still frozen, although flowing in places ~ caught in winter's icy grip. 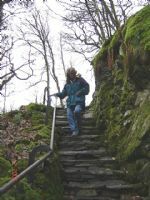 Nikki, negotiating the icy, mossy steps up to 'Aira Force'. 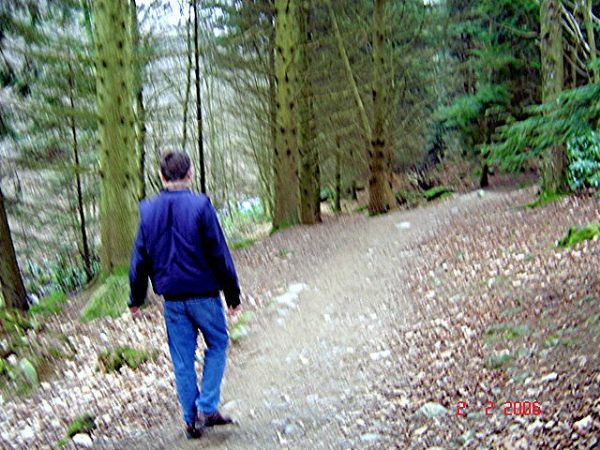 It is always worth the walk. 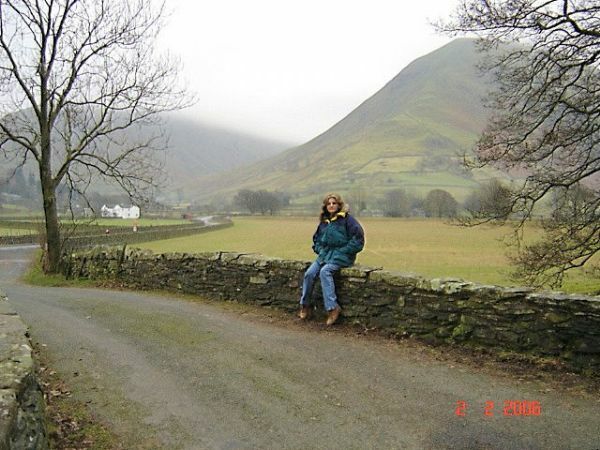 Nikki atop one of the amazing hand made stone walls in Cumbria - this one is at 'Hartsop', which means 'Valley of the Deer', the area was once well known as a Norman hunting forest. 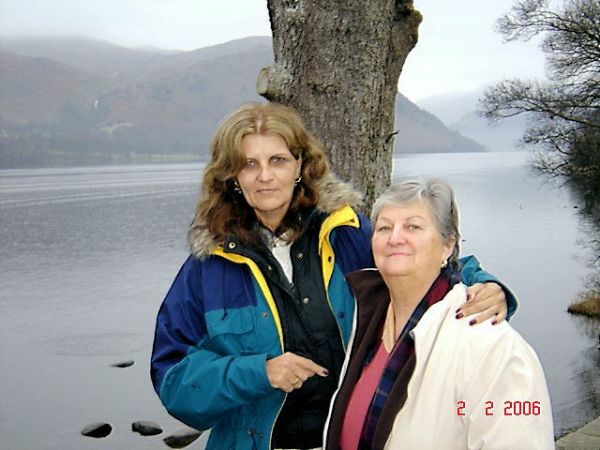 Nikki & mum at the edge of the chilling 'Ullswater'. 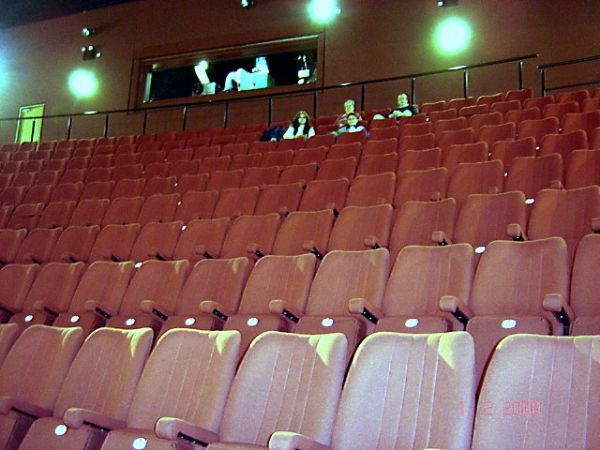 Nikki, Simon, Mum & Stuart in the brilliant 3D cinema at the 'Rheged Centre', Penrith, watching the short film that was especially commissioned for the centre ~ "Rheged: The Lost Kingdom". Nikki inside the 'Rheged centre', where the waterfall outside was freezing solid in the middle of the day! 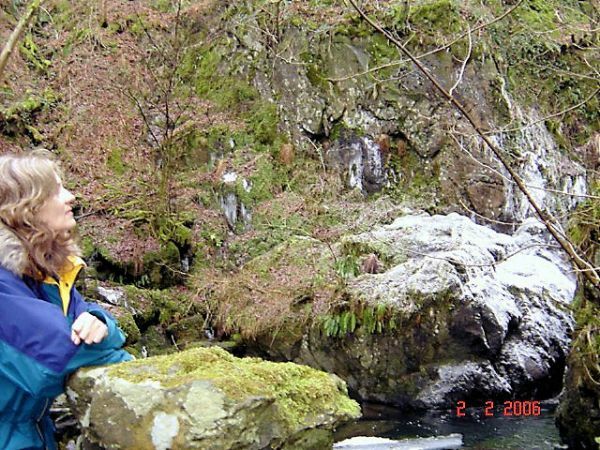 Another photo of Nikki, glad she is inside, looking at the waterfall outside the 'Rheged centre' freezing. 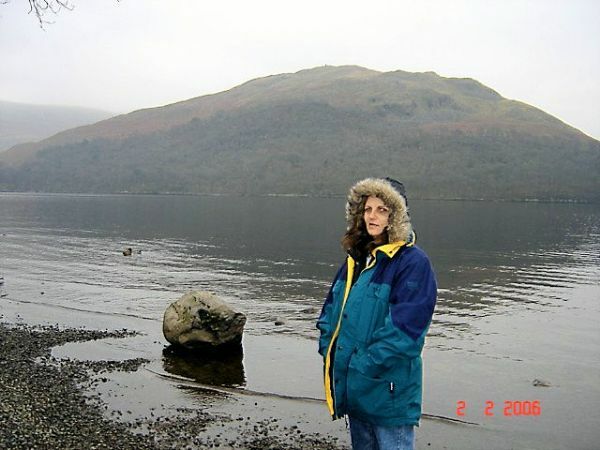 Nikki, on the shores of 'Ullswater'. 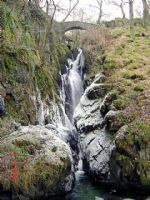 The lake is fed by a number of streams, 'Grisedale Tarn Beck', which brings water down from 'Dollywagon Pike' & 'Fairfield ' & 'Glenridding Beck', which flows from 'Red Tarn' on 'Helvellyn' & further to the north by 'Aira Beck', which has the spectacular 70' waterfall 'Aira Force' pictured above. 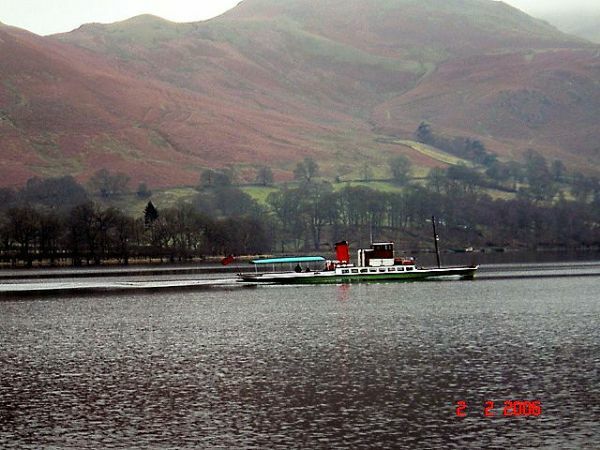 'Ullswater' is a typical Lake District narrow "ribbon lake" & was formed after the last ice age. Simon, a Darwin boy ~ fascinated by the frozen, falling water at the 'Rheged centre', Penrith! 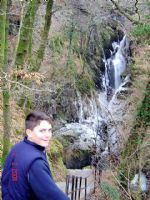 Simon at 'Aira Force', being a 'Darwin' boy, he was amazed at the frozen 'falls'! On the track up to see 'Airaforce'. 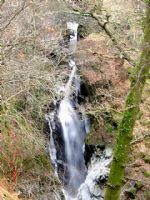 'Aira Beck' plunges dramatically around 70 feet through an overhead bridge and over the rocks. The beck has its source high on the slopes of 'Stybarrow Dodd'. 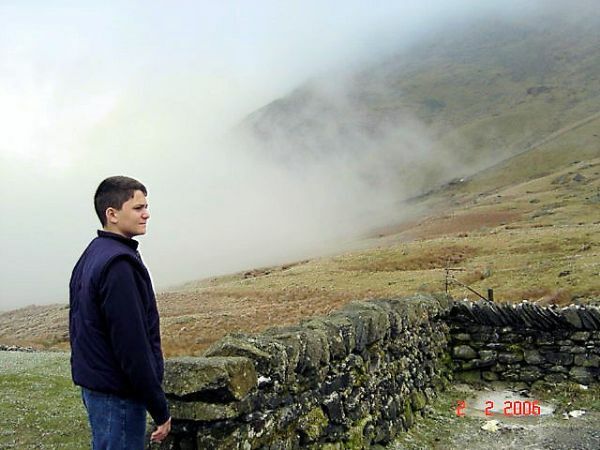 Simon, surveying the spectacular, if unforgiving country that is the old Kingdom of 'Rheged' through the mist. The old pack horse bridge at 'Aira Force', intricately built by hand ~ stone by interlocking stone. A great shot showing the frozen & still flowing magical waters of the region. 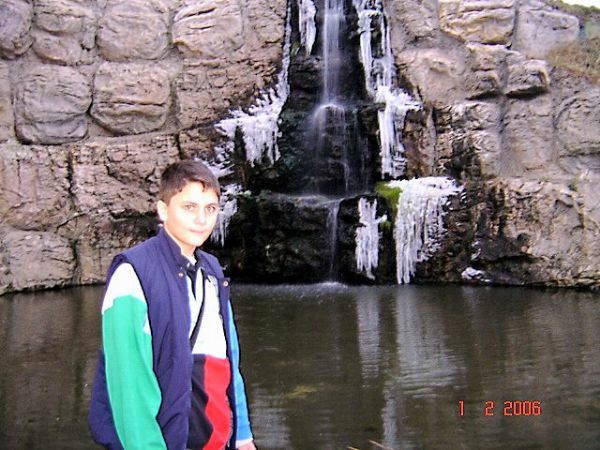 The slippery, icy. 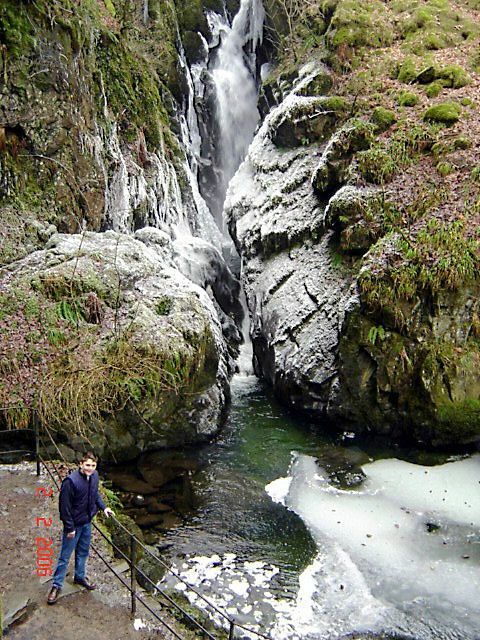 frozen way up the the 'Force' ~ Simon decided he would brave it out! 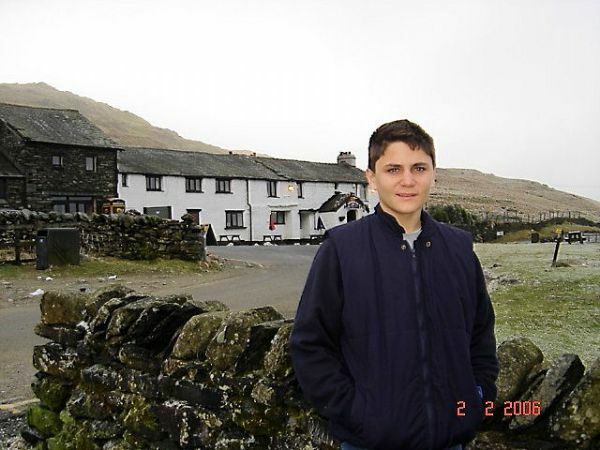 The pub up on the top of the once treacherous 'Kirkstone Pass'. He had to go outside & see for him self! Yes! 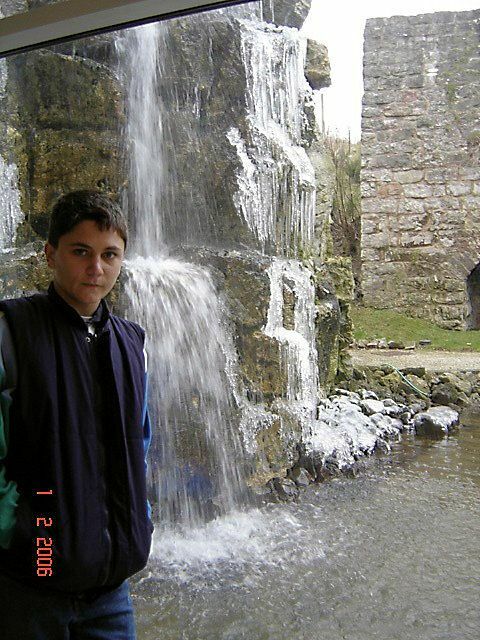 It was freezing & falling! Yes - it was cold out there! 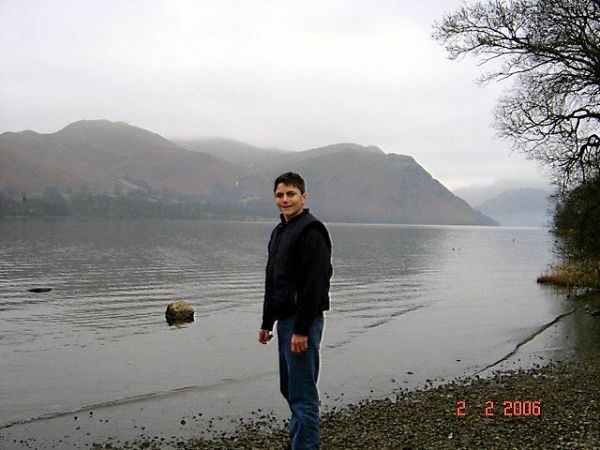 Simon on the shores of the ancient 'Ullswater' lake. 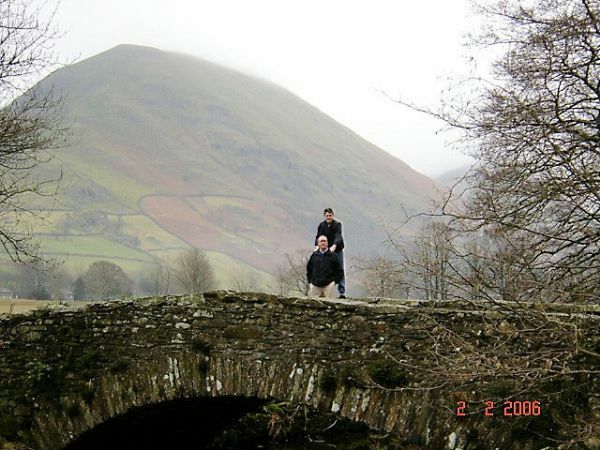 'Kirkstone Pass', you really feel as if you have stepped back into the mists of time here! would have been a very remote & special place many centuries ago - it still is! 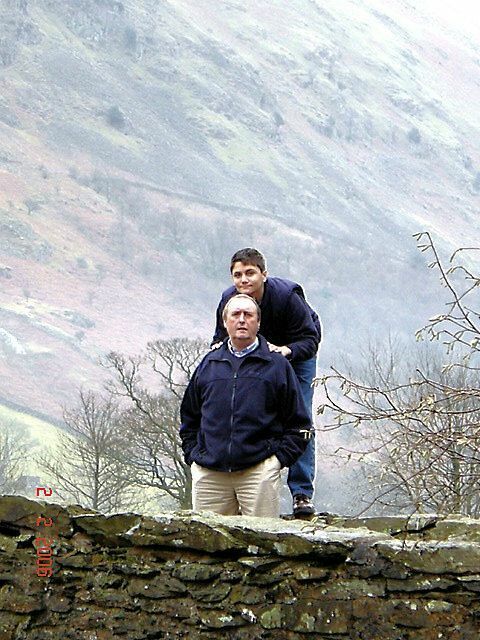 Simon & Stuart ~ 'Hartsop'. 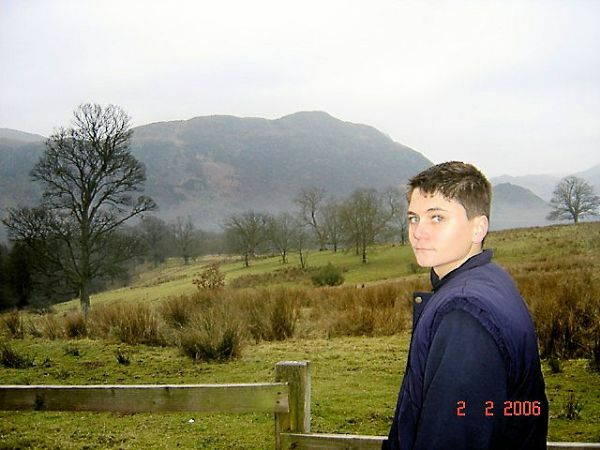 The landscape is dominated by the high fells; Hart Crag, Dove Crag, Hartsop Dodd (2,027 ft). Remote Hayeswater, altitude of almost 1,400 ft, lies a mile SE of the village. 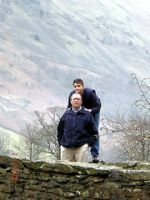 Simon & Stuart near Hartsop. The village, once known as Low Hartsop, which was once a lead mining community, has changed little over the centuries, some of its cottages still retain their old spinning galleries, external staircases & other interesting features. Boats cruising the ancient waters of Cumbria ~ current day 'Rheged'. Simon & Stuart warming up inside the interesting 'Rheged Centre', Penrith, Cumbria, England.